Giorgio Armani is presenting its new fragrance Armani Eau de Nuit in February, along with the reissue of Eau Pour Homme (1984, perfumer Roger Pellégrino). 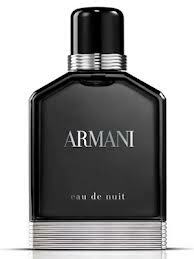 Intended as a masculine launch, Armani Eau de Nuit features bergamot, cardamom, pink pepper, iris, nutmeg, basil, cedarwood, ambrox, and tonka bean. 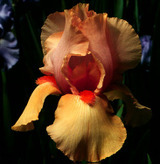 Described as “an epitome of elegance,” it was created by Firmenich perfumer Marie Salamagne. 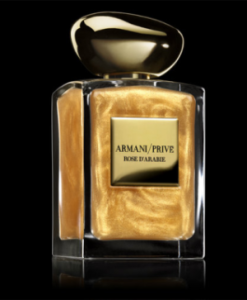 Marie Salamagne also worked on another new Giorgio Armani release, Armani Privé Rose D’Arabie L’Or de Désert. It’s a richer twist on Rose d’Arabie, a Middle Eastern inspired rose perfume from the 1001 Nights Collection. It’s described as “a homage to the splendors of the East and the mysteries of the desert.” The perfume is mixed with gold flakes, which leave skin slightly shimmery. Rose D’Arabie L’Or de Désert includes notes of saffron, rose, ginger, patchouli, oud, amber and woods. The 100ml eau de parfum retails for €255. Available at the select Armani Privé counters for a limited time. Via Le Bon Marché. I’m 100% sure Armani Eau de Nuit will appear in Poland.